Fabian Calvo: The Economy Needs A Bigger Rate Hike - Wall St. for Main St.Wall St. for Main St.
Wall St for Main St interviewed Fabian Calvo, who is the Founder of Fabian4Liberty. 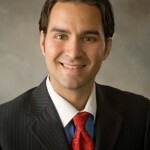 Fabian is a libertarian blogger, podcaster and a successful real estate investor. In this podcast, we discussed the recent comments made by the Federal Reserve hinting that they made a policy error in raising the rate and Fabian tell us why we need a bigger rate hike. We also talked about the real estate and where it is headed in 2016 and the 2016 elections. Plus much more!